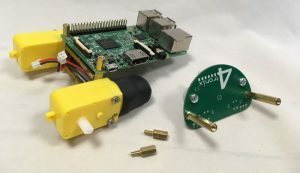 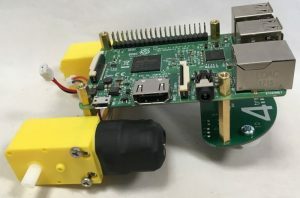 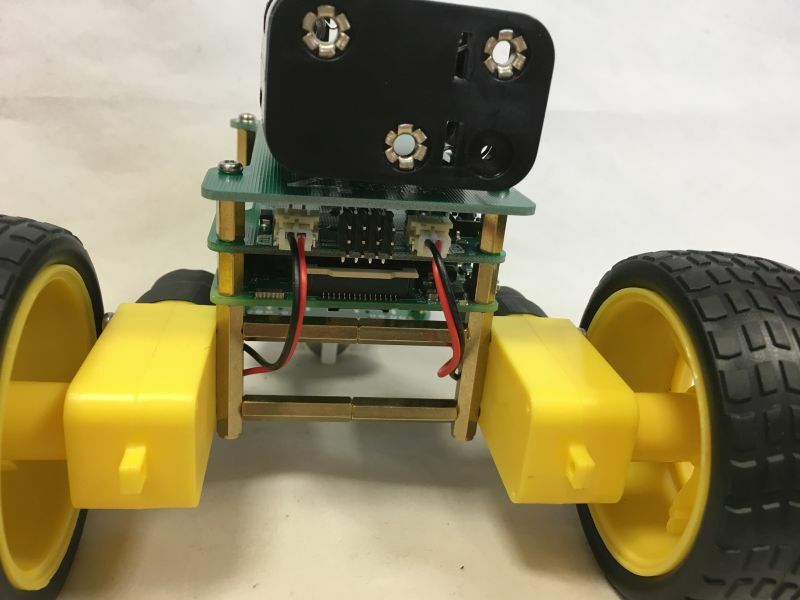 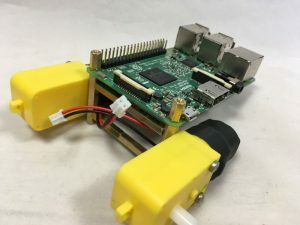 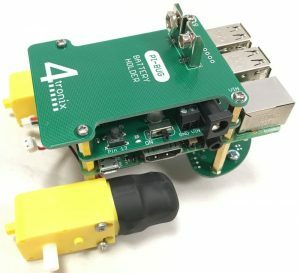 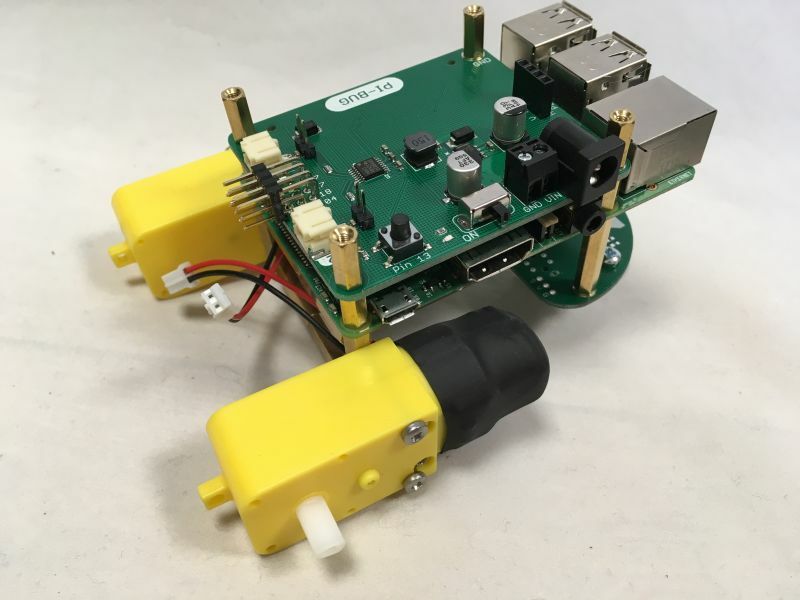 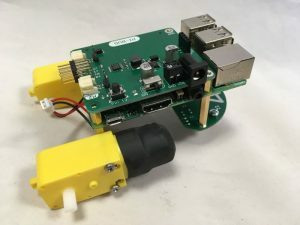 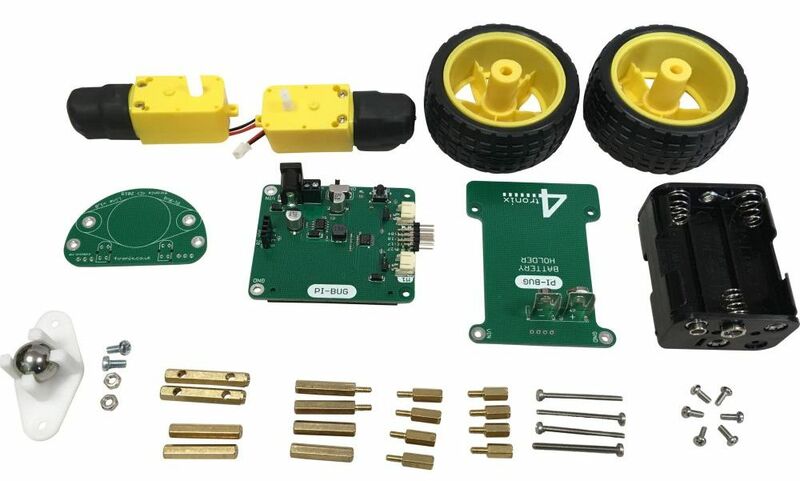 A barebones, but sturdy, 2WD buggy for the Raspberry Pi, that uses the Pi itself as the chassis for the robot. 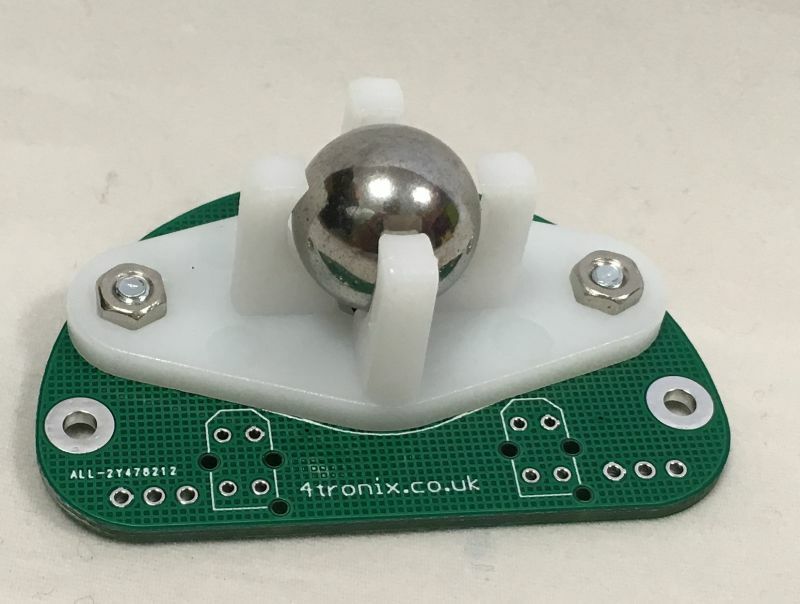 Put the M3 nuts in the holes in the castor housing, then use the 6mm M3 screws to fit the housing tightly to the castor board as shown, with the castor on the bottom and the large 4tronix logo on the top. 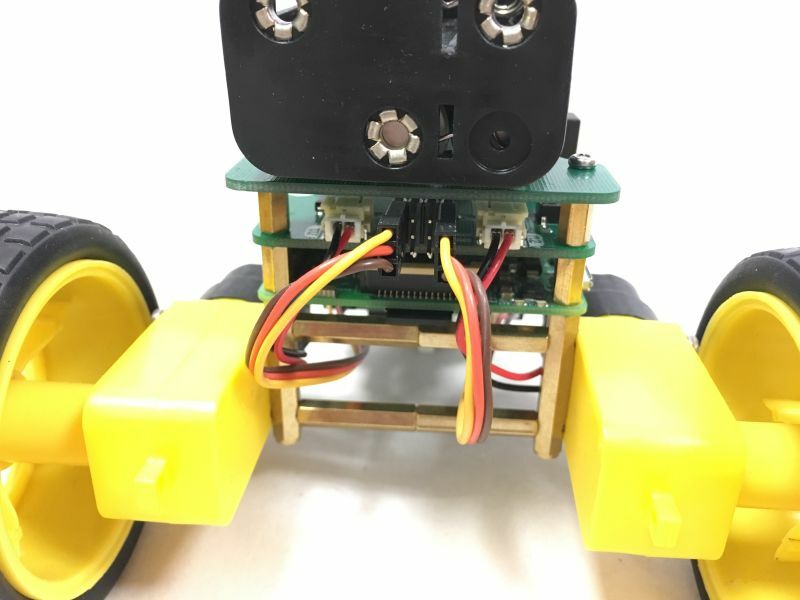 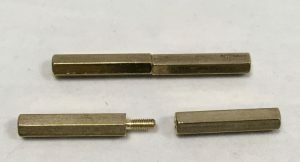 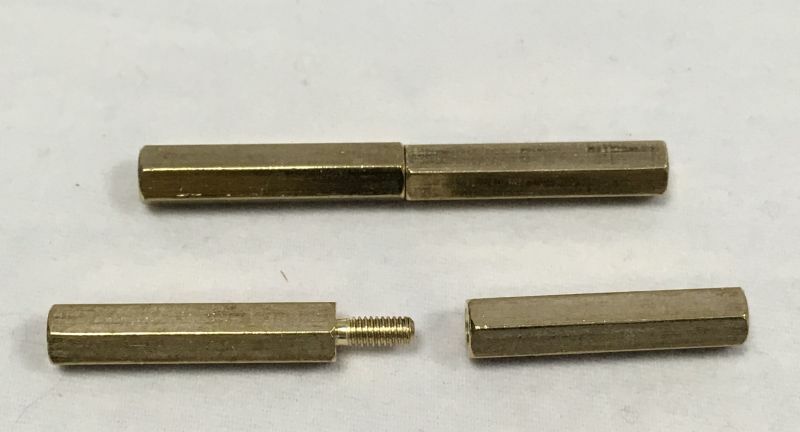 Use the threaded ends of the 11mm pillars to fit the PiBug main board into position. 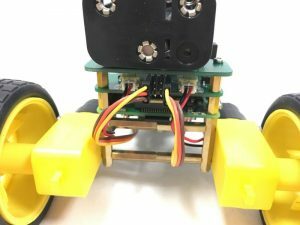 Fit 6 AA rechargeable batteries into the battery holder and then plug it into the connectors on the battery board. 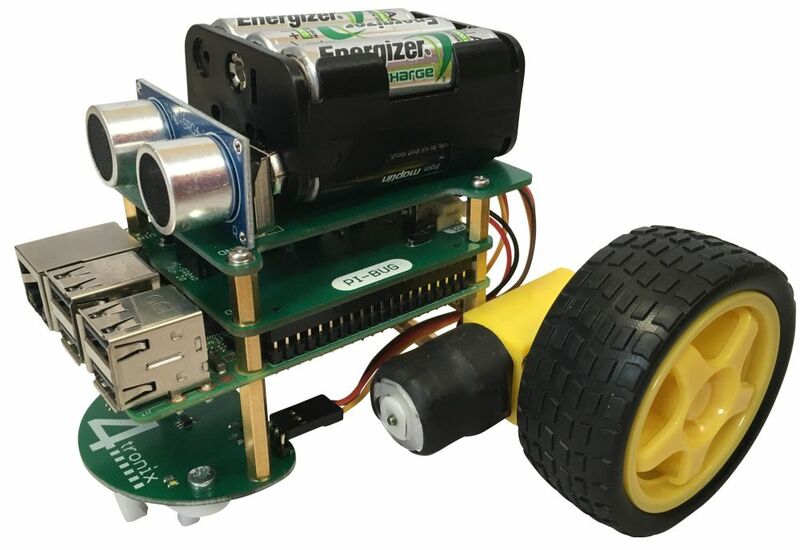 Note that it will work with alkaline batteries, but when the batteries get low it may suddenly reset the Pi when changing motor direction. 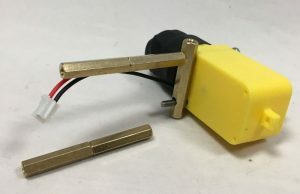 This behaviour is better with rechargeable batteries. 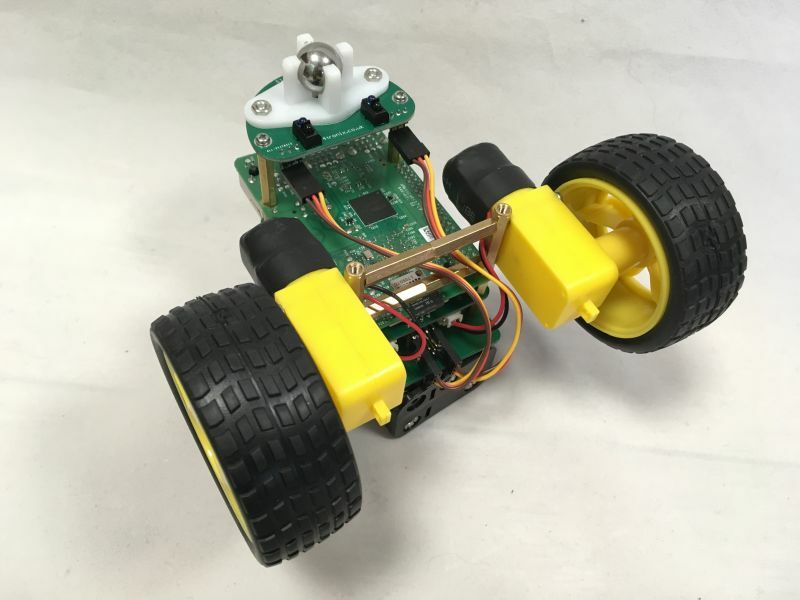 You have now completed the buggy and all you need to do is code it!